My tire rod broke while I was driving and I was stuck on the side of the road. I went to Fountain Tire across the road and they wanted to charge me a lot plus towing! 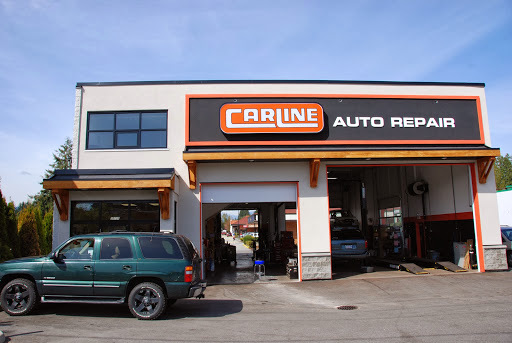 I saw CarLine just across the other road and not only did they fix my tire rod (for almost half the price!) they also managed to get my car from the side of the road into the garage without a tow. They also proceeded to work on my car right away and I only had to wait an hour and a half. Fountain Tire said a couple of days! CarLine was friendly and so very helpful. I will definitely go back to them if I have any issues. Also my car works great! I had to drop my car off last minute for a same day brake repair. Not only was my estimate lower than expected, they were able to complete the job in just a few hours. It was done well and I have not had any issues with the quality of the work done. As fate would have it, my wifes vehicle was in with the dealer for a recall service. They also inspected and advised the brakes to be done. Same scope of work on a similar vehicle and it was 3 times the price. We said no thanks and brought it over to carline. I have been going to Carline for over 10 years now and the service has always been top notch. I have introduced my kids to them and now they use them whenever they need something repaired or upgraded on their vehicles. Rob has always helped us out, going the extra mile and provided us with the feeling that we are safe and secure when we drive away. You cant put a dollar sign on that when it comes to your family and their safety. Curtis Gowler and Family. These guys are only out for your money that rob guy said he would call me back spent 4 thousand dollars there and he sent me home with a broken tie rod told me he would call me I called him a bunch of times he kept holding me off worst dealer ship Im pissed now my truck alignment is steering right and my steering wheels slanted left worst job done. Until I re post DO NOT GO THERE unless you want a unfinished job ! Have had these guys work on my 1988 Camaro twice now. Both times the service was fast, professional, and priced far below other local shops. They even offered to keep the shop open after hours so I could pick my car up the same day, as my work schedule is identical to their store hours. Would recommend them to anyone. Had a loud rattling exhaust and was recommended Carline through a friend; they took the Pathfinder in right away and explained what the problem was, how much it would be to fix and how long it would take. No fuss, no up-sell, very friendly and efficient at delivering what was promised! Couldnt be happier. Thank you! I had a complete brake job done on my 99 F 350 Dually. They did it for way less than the dealer could, plus actually replaced more parts. The workmanship was good, the service was great. Definitely recommend these guys! Great service and good job on my car. Its a great feeling to feel safe. My car is old. Im sure other things will pop up. These guys will definitely have my car there. My Father and I have been using Carline for over 30 years...(Im not sure if it was even Carline back then). Honest, fair, great people. Family Owned. Makes for good business. This shop looks after you . Will always go back. Top notch workmanship. Very safety oriented. Awesome people. Very friendly and informtative. Honest about price and not trying to up sell. One of the best shops in Maple Ridge. Great work, and good price!